I have a litter of thoroughbred Boerboel puppies for sale. Parents are the large breed of Boerboels, big heads, tall and very muscular. Parents are excellent with family and children, great temperaments and the best security you can ask for. Puppies have everything that is desired in a Boerboel, large heads, full black mask and are very large for their age just to name a few. Parents have had all their shots and vet checks since birth and are in perfect health, no hereditary diseases or illnesses whatsoever. Parents can be viewed with the puppies. 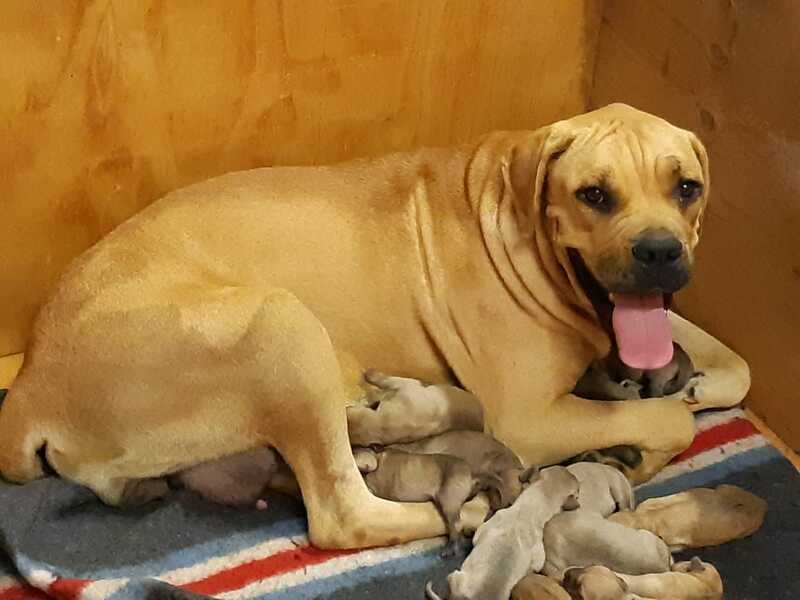 Puppies will be ready to leave from the 1 May 2019. They will have all their inoculations, deworming etc, done before they leave for their new homes. I want to highlight that I will only sell to good, loving homes. R4500 each.